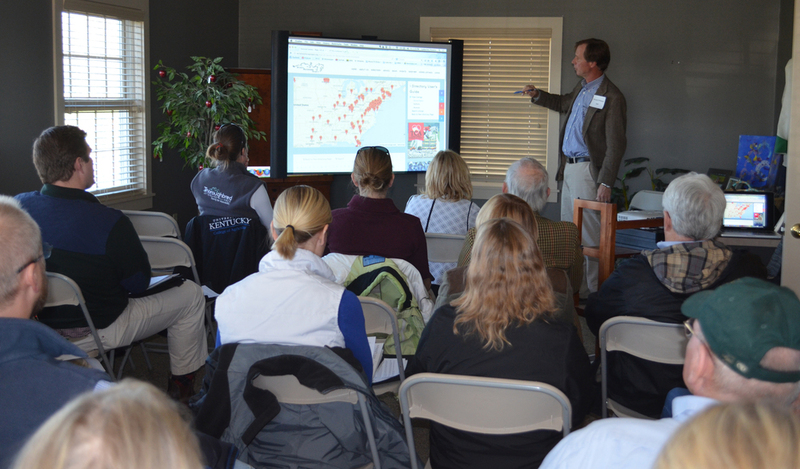 Neither pictures nor words can fully communicate the thrill and the intense interest that filled the MMSC on Friday, Nov. 21 when Steuart Pittman and his colleauges Carolyn Karlson and Julie Magruder gave a presentation about bringing the 2015 Thoroughbred Makeover and National Symposium to the Kentucky Horse Park. 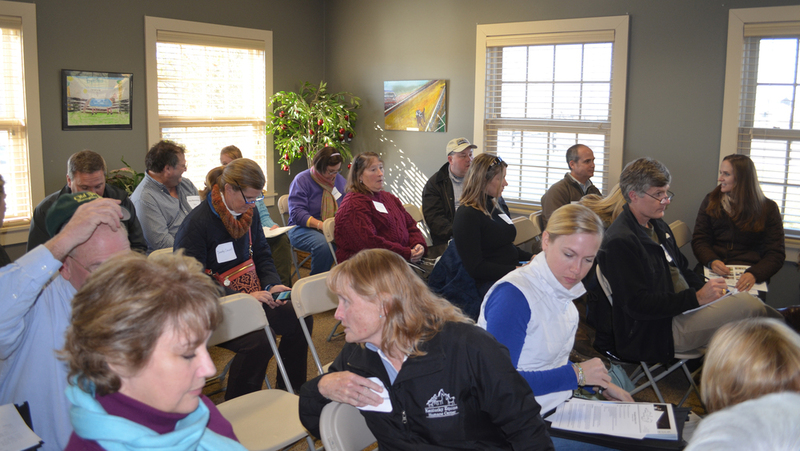 The conference room was packed with leaders of the racing industry and Thoroughbred supporters. Steuart's presentation, which included 2 moving videos by writer/photographer Glenye Oakford (http://gcoakford.com/), lasted a little over an hour. He then opened the floor up for comments and questions, which came from everywhere around the room. 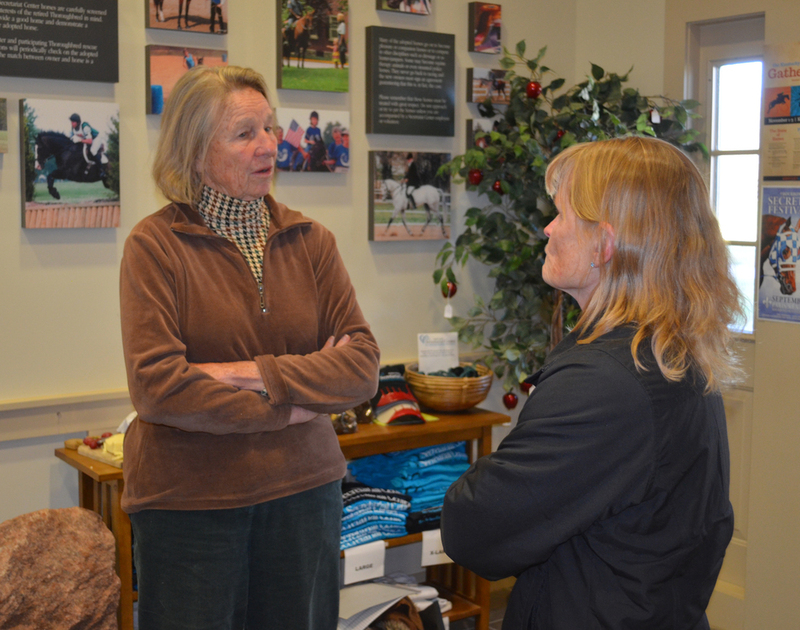 The consensus was that the Kentucky Horse Park was the ideal site, and there was much discussion about how to make this the biggest and the best TB Makeover to date! Guests lingered for an hour and a half afterwards and over wine and cheese fraternized and continued with lively and lengthy discussions about the Makeover. Our thanks go out to every guest who attended this important presentation, and we truly appreciate Steuart Pittman and his team for their vision and their dedication to creating and expanding a market for Thoroughbreds when they are finished with racing. Thank you all!